﻿ Remember a couple of weeks ago when we were closer to out-and-out nuclear war than getting a new Brand New album? Well, either Trump and Kim Jong-Un wanted to give the planet’s emo-loving populace one last moment of solace before wiping out life itself, or the band’s ever-cryptic leanings have come full circle to the point where something has actually happened. And given how vinyl pre-orders for an unnamed fifth album were released one innocuous August Tuesday, only for fans to be sent CD copies of the new only a couple of days later, it would appear to be the latter. And for as little fanfare as the band themselves have given, this really is a momentous occasion, their first album since 2009’s highly divisive Daisy, and coming in the midst of them teasing their own breakup for next year, this could very well be the final Brand New album. That wouldn’t really be a surprise given the clear turmoil on display here. 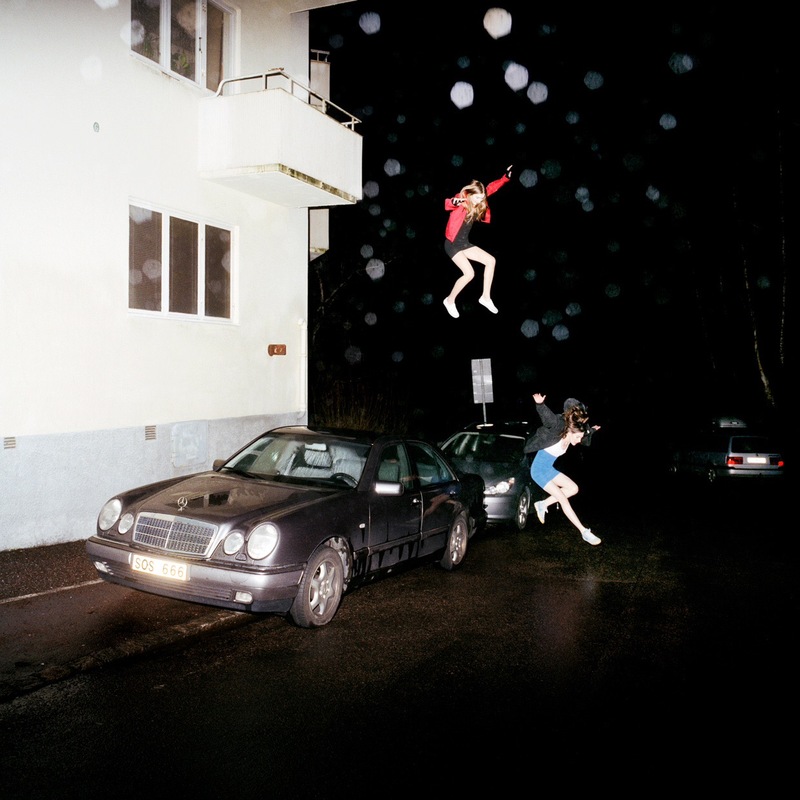 As opener Lit Me Up attests, Science Fiction is a therapy session, what that isn’t wanted, but is completely necessary for Jesse Lacey to exorcise the demons that characterise this album, one in particular that spans its entire course and pushes it into the territory of a true masterpiece. Even amidst that though, the questions of faith still manage to percolate; 137 brings up humanity’s destructive power, especially of itself, and how any sort of supposedly caring deity would not only give any species that power, but also the conditioning to believe that it’s His plan and how we should obediently accept that no matter what. Similarly is Desert, about those who carry out racist, homophobic behaviour under the belief that it’s “God’s will”, but told from the perspective of one such individual for the sort of snide incisiveness that Brand New have become masters of. But even then, those are just pieces of neurotic canvas inside Lacey’s head; more prominently, and stretched across almost all of Science Fiction, is Brand New itself. Even with the tension there’s been in the past, Science Fiction is as naked a look at inter-band worries and subsequent effects as you’re likely to get. It primarily focuses on how Lacey’s thought processes have been corrupted by his own manic depression – the pressures of having to pump out albums to please an increasingly fickle public, and whether that ultimately leads to desired successes being met on In The Water; the desire for a positive message that’s always misinterpreted or misconstrued because of such depression on Can’t Get It Out; the increasingly desperate feelings of self-loathing on Same Logic / Teeth. And with the inability to recover from the hold these factors have on him on Out Of Mana and going as far as to succumbing to them on Batter Up, there’s enough evidence for this being Brand New’s swansong to make that seem totally plausible. In fact, it’s portrayed as the best possible outcome, deconstructing that image, removing, as Same Logic / Teeth states, that “Brand New face” that’s the source of so much hassle, and easing back into the wider, unknowing world. Because after all, “At the bottom of the ocean, fish won’t judge you by your faults”. All of this is only exacerbated by the music, of which, comparatively, there isn’t that much to say. For the most part, guitars are either minimalist like the delicate indie-folk of Could Never Be Heaven or the eight minutes of swirling shoegaze of closer Batter Up, or the downbeat fare that perfectly correlates with their immense lyrical weight like Waste and No Control as well as Lacey’s vocals that cut through with a hushed yet viciously dissecting pain. It’s definitely of less importance than its underlying themes, but even then, what it adds to such an already deep listen shouldn’t be understated. But even then, it feels as though that was the intention all along. After all, Science Fiction may be a bleak, arduous listen, but one that continues to offer more even as the layers are be peeled back and its vulnerable core becomes fully exposed. And for what is most likely to be Brand New’s final album, it does everything you could reasonably want – an engaging, thoroughly charged listen held down by a gravity that’s almost impossible to be replicated or faked. Even with the struggles that it lays out plainly for all to see, there’s a part of Science Fiction that feels like a dedication to Brand New fans, packed with references to previous albums and tying up loose ends, almost like a thank you for sticking around for so long. And for a band like this to write to own final chapter, and in a such a way as this, it puts a cap on the cult phenomenon of Brand New’s career in the best way possible. ‘Science Fiction’ by Brand New is out now on Procrastinate! Music Traitors.